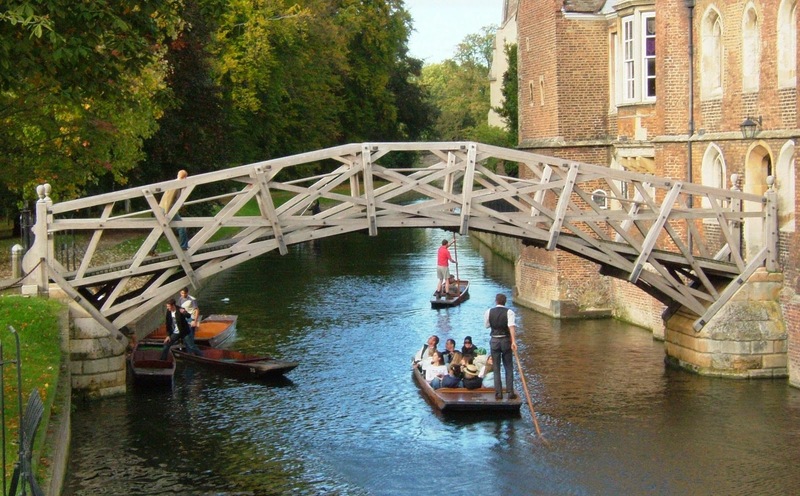 It's the Mathematical Bridge, spanning the river Cam and connecting two parts of Queen's College, Cambridge. The name derives from the techinque of tangent and radial trussing, providing an efficient use of timber, while also creating a beautiful and almost organic skelton-like look. If you like it, you should also have a look at the article about the now lost Old Walton Bridge.